Ernest is a ram and father to lambs needed for a maternal nutrition study. He lives in the same flock room as the ewes caring for their lambs so he can see, hear, and smell the other sheep. 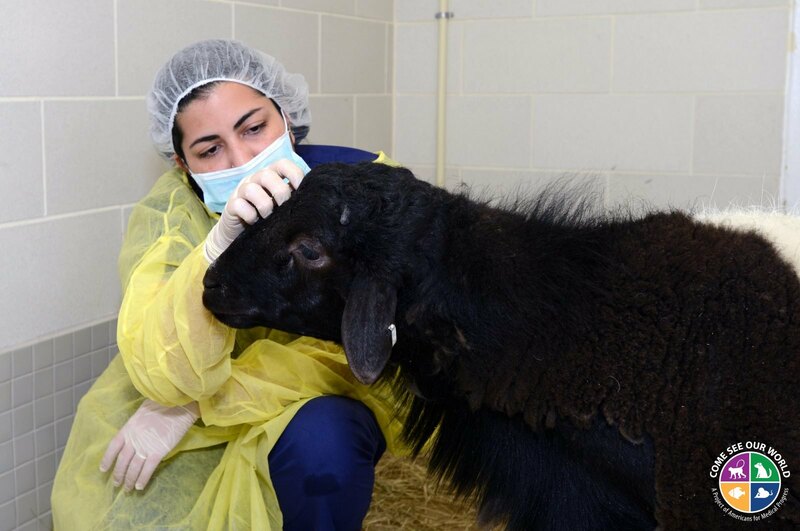 Since he has to be separate from the female sheep, his caregiver provides him with plenty of extra attention and affection, which Ernest seems to really enjoy!